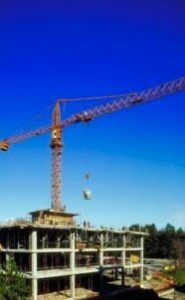 The California construction accident attorneys of Golden Gate Law Group have more than three and a half decades of experience helping injury victims obtain compensation. We never accept the idea that workers’ compensation is the only remedy in the case of a construction accident without a thorough investigation. Upon closer inspection, a construction accident may turn out to be the result of a dangerous or defective product. Improperly erected scaffolds, defective ladders, and improperly marketed power tools or equipment is the cause of many construction site personal injury accidents. We also have southern California construction accident attorneys that are prepared to undertake an in-depth investigation into the causes of an on-the-job electric shock injury, eye injury, or burn injury. We have construction accident law offices located throughout California. Professionals such as medical and economic experts assist our lawyers in determining a dollar amount that may allow a construction site injury victim or surviving family members in the case of a fatal accident to build a new life and move forward. Fair compensation will pay for medical bills, lost wages, therapy, adaptive home remodeling and equipment, and special forms of transportation. We are determined to leave no stone unturned in the pursuit of proper compensation for our clients whose lives have been disrupted by catastrophic injury or wrongful death because of a construction site accident. Construction site and workplace accidents in California are often tragic-and all too common in workplaces where safety standards are not consistently observed. If you have been injured or lost a loved one as a result of a burn injury, crane accident, electric shock injury, on-site truck accident, or other construction site personal injury, contact a California construction accident and wrongful death attorneys at Golden Gate Law Group to schedule a free consultation with an experienced construction site accident lawyer. In the meantime, take measures (if possible) to gather and preserve evidence related to the accident as possible.